AccessScience is an authoritative and dynamic online resource that contains incisively written, high-quality reference material that covers all major scientific disciplines. An award-winning gateway to scientific knowledge, it offers links to primary research material, videos and exclusive animations, plus specially designed curriculum maps for teachers. With these and other online features, AccessScience is continually expanding the ways it can demonstrate and explain core, trustworthy scientific information in a way that inspires and guides users to deeper knowledge. AccessEngineering, an award-winning engineering reference tool for professionals, academics, and students that provides seamless access to the world's best-known, most-used collection of authoritative, regularly updated engineering reference information. Delivering multidisciplinary information in a dynamic interactive format straight to your desktop or device, AccessEngineering provides integrated access to thousands of pages of trusted content from such renowned resources as Perry's Handbook for Chemical Engineers and Marks' Standard Handbook for Mechanical Engineers. Business-- a wealth of bestselling business titles spanning nine categories including; business skills, entrepreneurship, leadership, process management, investing, real estate, and marketing. Computing and TAB—cutting-edge guides for IT professionals, programmers, DIY hobbyists/makers or anyone looking to get the most from their electronic devices or software. Language collection—instructive resources, including the bestselling Practice Makes Perfect series, that help language learners succeed in their ELT, Spanish, and French courses. Each collection is further divided into specific subject clusters. You can choose to subscribe at the collection level or cluster level. Additionally, we offer seasonal title additions at no extra cost to you during the life of your subscription or you can license the content perpetually with a one-time fee. 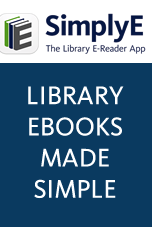 Users will be able to take notes, bookmark and keep/access booklist. Librarians are able to track usage. The site offers the highest quality MARC catalog records by MLS-degreed catalogers.